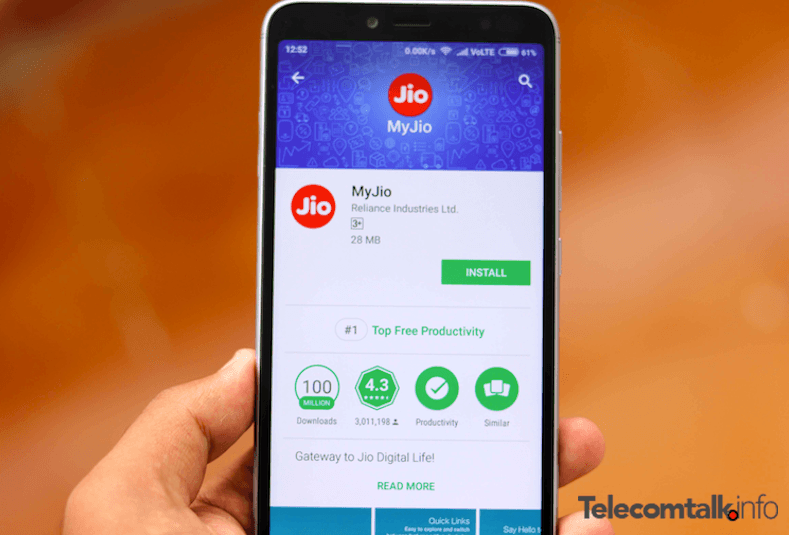 MyJio is the essential application for all the Reliance Jio users out there, but very often, users stayed away from installing the app because of the cluttered user interface and annoying notifications it sends every now and then. Jio has now pushed a new update to the MyJio application which brings new interface and it’s much more simpler to navigate than earlier. The home screen of MyJio app now displays your Jio account details (phone number, plan you’re using and expiry date) and the updated app has a Useful links section, which allows users to jump into other sections such as Recharge, Postpaid bill payment, hotspot and others. Right now, the MyJio app for Android has reached version number 5.0.05 and you can head over to the Google Play Store to get updated to the latest version. Right after opening the application, you can notice the new user interface which is way better than what the app offered earlier. On the top, the app now displays some cards such as iPhone XS pre-booking, Jio GigaFiber registration, JioPhone 2 sale, JioPostpaid subscription and so on. Hitting on these cards will redirect to the respective page on Jio.com. Below these cards, your Jio account information such as mobile number, prepaid/postpaid pack details and more will be displayed. Below your account information, there’s a ‘Useful links’ section which will quickly allow users to recharge their prepaid number, postpaid bill payment, ordering a Jio 4G SIM card, managing JioPhone account, tracking a placed order on Jio.com and checking Hotspot locations. Also, this new update for MyJio app brings new UI for JioCare as well. For the unaware, JioCare is the company’s customer care portal with some FAQs, helping the users to quickly get solutions for their queries. Having said that, JioCare does not offer any real-time customer care support. Instead, it’s just a portal with some pre-defined FAQs and how-to videos. Some users may not be aware of JioPhone Monsoon Hungama offer and the JioCare portal has an FAQ detailing what the offer actually is. Besides the revamped home screen, Jio did not make any changes to other elements of the interface. For example, users can still access some of the services such as JioInteract, Locate Us and others by pressing the hamburger menu on the left side. In addition, MyJio app still allows its users to download other Jio apps such as JioMusic, JioTV, JioCinema and so on with ease. As mentioned, MyJio app is an essential one for all the Jio customers as it gives full control of the account. Notably, Jio users were annoyed with the old interface which used to be too cluttered. Also, the new version of the app is quick in opening, unlike the older version. Based on same architecture just menu icons and positions are revamped. Live Chatting has been disabled long way back and now only available on JioChat App. Other than that, Jio Care Section on the MyJio App is worthless.